Data from NASA’s space-based optical sensors revealing the uneven distribution of worldwide lightning strikes. Units: flashes/km2/yr. Image credit: NSSTC Lightning Team. _The estimated peak power per lightning stroke is 10^12 watts (1,000,000,000,000 watts or 1,000 Giga Watts). The total energy in a large thunderstorm is thought to be enough to power the whole of the USA for 20 minutes. _A tall thunderstorm cloud can hold over a 100 million volts of potential. The voltage potential in a lightning bolt is proportional to its length, and varies depending on the diameter of the bolt, air density and impurities of the air (humidity, dust, ash). The electrical breakdown of air (ionisation) normally take 3,000,000 volts per metre, however with the ambient electric fields of a charged thunder cloud and impurities in the air, ionisation normally takes place at much lower voltages during a storm. Lab tests have shown a leader will advantage if the tip of the streamer is about 4.5kV (4500v) for a negative charge and 5.5kV (5500v) for a positive charge. _The current in a lightning strike typically ranges from 5,000 to 50,000 amperes depending on the strength of storm. NASA has recorded strikes of 100,000 amperes and there are other reports of strikes over 200,000 amperes. From 1972 through 1974, the company engineered and drilled two Oklahoma natural-gas commercial wells at depths greater than 30,000 feet (approximately 5.7 miles) – the No. 1-27 Bertha Rogers well (total depth 31,441 feet) and the No. 1-28 E.R. Baden well, both located in the Anadarko Basin, and east-west trending basin in West-Central Oklahoma. _Fullerenes are produced by 2 processes: Combustion of carbon-bearing fuels, and high voltage, high current density, electrical discharges through existing carbon deposits, such as coal. _In the Kerelia region of Northwest Russia, very large deposits of a mineral now known as shungite (some percentage of fullerines is found in all shungite varieties) were discovered and used for water purification, as far back as Napoleon's time. _Shungite has to date mainly been found in Russia. The main deposit is in the Lake Onega area of Karelia, at Zazhoginskoye, near Shunga, with another occurrence at Vozhmozero. Two other much smaller occurrences have been reported in Russia, one in Kamchatka in volcanic rocks and the other formed by the burning of spoil from a coal mine at high temperature in Chelyabinsk. Other occurrences have been described from Austria, India, Democratic Republic of Congo and Kazakhstan. _Shungite has been regarded as an example of abiogenic petroleum formation, but its biological origin has now been confirmed. 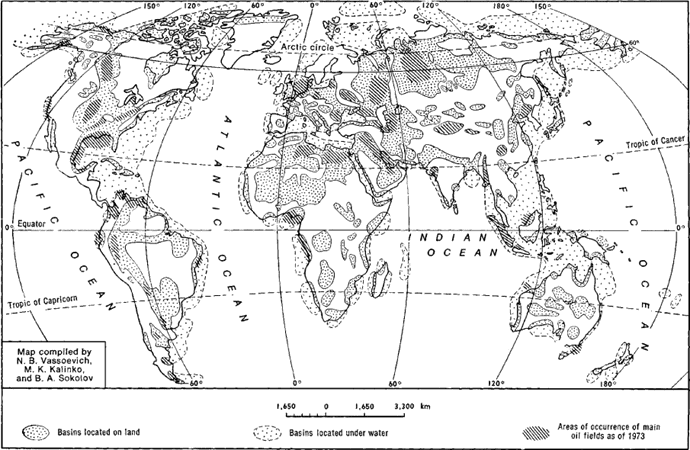 Non-migrated shungite is found directly stratigraphically above deposits that were formed in a shallow water carbonate shelf to non-marine evaporitic environment. The shungite bearing sequence is thought to have been deposited during active rifting, consistent with the alkaline volcanic rocks that are found within the sequence. The organic-rich sediments were probably deposited in a brackish lagoonal setting. The concentration of carbon indicates elevated biological productivity levels, possibly due to high levels of nutrients available from interbedded volcanic material. _The stratified shungite-bearing deposits that retain sedimentary structures are interpreted as metamorphosed oil source rocks. Some diapiric mushroom-shaped structures have been identified, which are interpreted as possible mud volcanoes. Layer and vein shungite varieties, and shungite filling vesicles and forming the matrix to breccias, are interpreted as migrated petroleum, now in the form of metamorphosed bitumen. 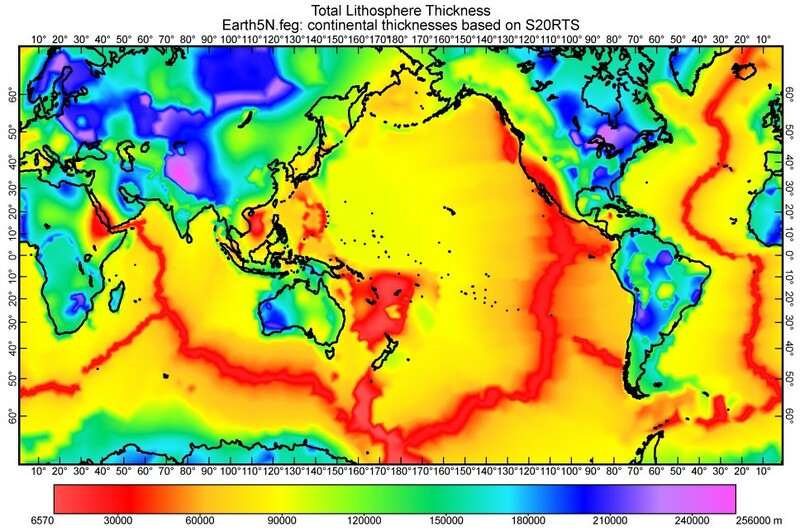 _Geo: Mysterious deep-Earth seismic signature explained?